The sixth plenary meeting of the 1st Central Committee of the Proletarian Party of East Bengal started on 6 December and successfully ended on 8 December 1972. All the members of the Central Committee were present at the meeting and the Chairman of the Central Committee presided over the meeting. 1) The meeting accepted the resolution as correct that in military question, the solution of financial problem is central task. It is central task at present too. In materializing the resolution, making it the central task, firmly grasping that and some guide lines regarding operation was very helpful. All level of organization is trying to implement that decision. To materialize that, we must persist in that. Leaderships of regional and various levels have to concentrate work in promising regions. They must materialize decision by their own guide, break ice, and direct various units by summing up experiences. The proposal of initiating guerrilla war through national enemy annihilation has been put in action in Barisal district and other regions are trying to initiate that. With that aim, redistribution of responsibilities among leading cadres and other organizational steps were correct. 2) In ideological and organizational field, the anti-clique struggle and rectification movement bore very good result and developed cadres’ consciousness. The step has been taken to activate the starting of rectification campaign against dogmatism by adding anti-dogmatism struggle to that. With that aim, we have to study the text book of rectification campaign against dogmatism and in light of that, carry that campaign in all levels. The meeting grants the text book of anti-dogmatism rectification campaign. 3) In East Bengal, the contradiction of the Soviet Social Imperialism and Indian Expansionism and their lackeys on the one hand and the US led imperialism and their lackeys on the other, is intensifying. The US imperialists are raising the demand of ‘Muslim Bangla’, ‘United Bengal’ and are trying to make sectarian riot. The US collaborator Rob group (presently National Socialist Party) is trying to make contact with ex-military employees, Liberation Force and discontented section of military Force. They are trying to bring students, workers and people under their leadership. The US led imperialists are massively infiltrating through economic loan, relief aid etc. They are conspiring to establish colony in East Bengal by using any or all of the following: military quop d’etat, riot, discontent of students and workers, economic pressure, Indo-Pak war (consequently India will have problem to send troops to East Bengal). Indian military intervention to smash military quop d’etat and its lackey puppet government’s intervention will bring armed clashes in cities and result the rural areas to be disconnected from cities. In case election happens freely, most probably National Socialist Party will be defeated. That situation will prove their bankruptcy. But before taking farewell from history, they are helping to unmask Mujib-ists by propagating against them. So, the armed clash among the enemies will create wonderful situation for us. In case it does not happen, we should proceed in line of our general work. Our achievement in this case is that enemies are unmasking themselves by biting each other, and thus weakening them. Free from human will, class struggle is a material law. It is a proof of that. Before distributing any documents, the printed copy must be approved by appropriate level. Published document of one level should be sent to immediate higher level to be granted. For reprint, it needs permission from immediate higher level. All levels must send copy of published documents to the Central Committee. Each level will send documents to the next higher level. If higher level considers it eligible, he/she will send that to other regions. He/she will not send one region’s publication to another without permission of higher level. Only document of central committee or produced by party leadership can be distributed and propagated to all level. If one region wants to reprint, publicize or study other region’s document, they need permission of immediate higher level. If one region’s document reaches other region in any way, the organizer must send that to the next higher level with explanation how they got it. By own initiative (own money), anyone can produce and print document but the central committee will decide whether cadres will read it or not. 5) Transfer or exchange of cadres or goods from one region to another shall be through proper level. Without proper level, none shall do so by anyone’s order or letter. In special case, inter-regional cooperation has to be done. Higher level must be informed about it. 6) If any cadre goes to other region to work without permission of proper level, in that case, the organizer of that region shall not permit him to work. He or she must bring written statement of proper level. It must be informed to higher level. The above decisions (4, 5, 6) will be helpful to strengthen single center of various levels, resist wrong statement, spreading and reprinting clique’s positions and conspiracies. Open and semi open work can be carried by keeping party identity secret. Its aim will be to recruit cadres, intensify people’s contradiction with the enemies and the contradiction among the enemies. Main form of mass organization is Armed Force. The aim of open, semi open and mass organization work will be to help armed struggle and recruit cadres. Don’t form counter trade union or central based trade union against those controlled by the reactionaries. On this case, infiltrate those by keeping party identity secret and materialize our previously mentioned aims. Form trade union by the leadership of cadres (by keeping party identity secret) where reactionaries have not formed trade unions. If it is problem to independently keep existence, join centrally based trade union. We have to properly combine open and mass organization work with secret party work and armed struggle. The secret work and armed struggle will be principal method of work. In liberated areas, develop open mass organization. In semi liberated or unstable liberated areas, develop open, semi open and secret organization. Infiltrate mass organizations controlled by Awami League, Pro-Moscows and others even in reactionary mass or military, paramilitary organizations by keeping recruited cadres from them exactly there. Such type of tactics of infiltration is being very much useful. We should keep continue that. Work in open-semi open and mass organization and infiltrating different mass organization is under party and armed struggle and help that. The main form of struggle of party is armed struggle. Between party work and armed struggle, party work is principal. Between on the one side party work, armed struggle and on the other side open and mass organization, the first one is principal while the second one is secondary. Those who make party work secondary, or deduct that, and give prominence to armed struggle are Guevarist. Those who make party and armed struggle secondary or deduct that and give prominence to open and mass organization work are right opportunist and revisionist. Those who deduct open and mass organization work while giving prominence to party and armed struggle are left opportunist. We have to give prominence to clandestine party work and armed struggle, use the opportunity of open work, infiltrate different mass organizations and work there. Do party work secretly in enemy areas while on the other side, do that openly in liberated areas and in armed forces under party. East Bengal is small, densely populated, economically equally developed, culturally united (for these reason, she has different social condition than India and China). Therefore, any political event rapidly mobilizes most of the people here. As a result, mass struggle turns into insurrection. This is why, students have played important role in social progress. So, we should build strong student and other mass organizations so that we can use mass insurrection as helpful to armed struggle. Recently, Motin-Alauddin neo-revisionists got split. Many the charge the other section of Motin-Alauddin has placed against them is the same we did before. Thus our position proves correct. Their split made their bankruptcy more rapid. The general cadres of Huq-Toha seriously have lost confidence on leadership. They have left them, and are preparing to work in revolutionary line. Kazi-Rono, Deben-Bashar and Co. are colluding to take part in election under confusing politician Moulana Bhashani. Moni Sing-Mozaffar revisionists are making futile attempt to pose themselves as anti-government. 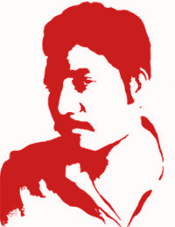 9) Support the struggle for regional autonomy of the Chakma, Mog and other national minorities, stop the ongoing national oppression over them and do wall writing and poster by declaring solidarity with their anti-national oppression struggle. 10) Regional organizers will write in a notebook about the received information from various sources about past and present of the cadres, sympathizers and supporters under his guidance, so that in future it can be easy to know the cadres. 11) To issue a call at least once in every two months of asking for application from cadres to be whole-timer so that we can find those cadres who want to be whole-timer and take those who are eligible among them. 13) The goods to be sent to higher level should go with list. The receiver will compare the received items with list and give signature writing ‘received’. The sender will take the paper. Then, goods will not be stolen. While reprinting Rob group, write in headline: Rob group (National Socialist Party). In this document, Rob group has been nicely unmasked. It is creating disappointment among their cadres, inspiring genuine cadres to join us and spreading anger among diehards. It needs massive distribution. Present situation has been clearly explained in ‘Several documents on present situation’. The document is approved with several corrections. The document ‘On Socialism, Class Struggle and Social Revolution’ has cleared the confusion regarding the above questions and gave elaborated and easily understandable analysis on different questions related to National Democratic Revolution and Socialist Revolution. It is an important and excellent document. Meeting granted various corrections and proposals on that. Send the corrected program by the central committee to all level for study, review and submit comments about it. 15) The decision of the Fifth plenum of central committee regarding marital life should be put in action in limited extent inside party. 16) The meeting grants plan for ideologically and organizationally unifying of sincere revolutionaries affiliated to various forms of revisionists. It will be sent to various levels of party to collect opinion. 17) The directives given by Chairman, decisions and published documents are granted. 18) The fifth plenary meeting’s communique is granted in this meeting with edition. All the decisions were unanimously granted.